Taking into account the enormity of the stress in the domestic steel industry, India has engaged Boston Consulting Group (BCG) to suggest ways to tackle the issue of non-performing assets in the sector. BCG has been brought on board by the steel ministry, in addition to consultancy firm KPMG India and investment bank SBI Capital Markets Ltd being tasked to assist in working out a bailout package for the steel sector. “We have appointed BCG to suggest measures that need to be taken at this point in time for domestic steel manufacturers going through deep financial stress,” said a senior government official requesting anonymity. BCG has been asked to submit observations and suggestions by the end of this month, after which the ministry of steel will decide on implementing them in consultation with other key ministries, added another government official who also didn’t want to be identified. The domestic steel industry is facing the heat due to cheap steel imports from China and is finding it difficult to service its debt. Around Rs4 trillion worth of gross non-performing assets are sitting on the loan books of Indian banks, as per Reserve Bank of India (RBI) data. RBI governor Raghuram Rajan believes that non-performing assets prevailing in the system should be tackled immediately. 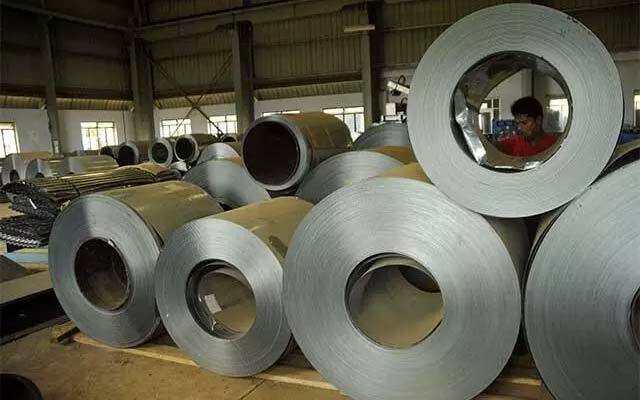 “The ministry of steel has received a report from KPMG wherein it has suggested broad measures to handle the fiscal situation of the steel industry,” said a third government official aware of the development requesting anonymity. While queries emailed to KPMG and the Union steel ministry on 20 April remained unanswered, a BCG spokesperson declined comment. The National Democratic Alliance government has taken several measures to help local steel industry against cheap steel product imports including safeguard duty till March 2018. The government has also imposed a minimum import price on 173 types of steel products ranging from $341-752 per tonne on 5 February 2016 for a period of six months. “It is a step in the right direction. BCG is known as an established house and has a credible track record,” said Bijoy Thomas, analyst at India Ratings and Research Pvt. Ltd. The government has also constituted a high-level committee of secretaries on steel to suggest measures needed for the sector’s growth and ordered two separate investigations last week on anti-subsidy and anti-dumping against steel exports to India. According to data available with Joint Plant Committee, a government-authorised institution to collect data on Indian iron and steel industry, total steel imports during April-March 2016 period stood at 11.208 million tonnes (MT), which was 20.2% more than the corresponding period in the year-ago period. During this period, country’s consumption of total finished steel was at 80.273 MT, registering a growth of 4.3% during the same period last fiscal. The growth in consumption of steel was mostly led by imports.